I consider myself to be an Odia Wikimedian. I contribute Odia knowledge (the predominant language of the Indian state of Odisha) to many Wikimedia projects, like Wikipedia and Wikisource, by writing articles and correcting mistakes in articles. I also contribute to Hindi and English Wikipedia articles. My love for Wikimedia started while I was reading an article about the Bangladesh Liberation war on the English Wikipedia after my 10th board exam (like, an annual exam for 10th grade students in America). By mistake I clicked on a link that took me to an India Wikipedia article, and I started reading. Something was written in Odia on the lefthand side of the article, so I clicked on that, and reached a ଭାରତ/Bhārat article on the Odia Wikipedia. I was excited to find a Wikipedia article in my native language! A banner inviting readers to be part of the 2nd Bhubaneswar workshop on April 1, 2012 sparked my curiousity. I had never contributed to Wikipedia before, only used it for research, and I wasn't familiar with open source and the community contribution process. Plus, I was only 15 years old. I registered. There were many language enthusiasts at the workshop, and all older than me. My father encouraged me to the participate despite my fear; he has played an important role—he's not a Wikimedian, like me, but his encouragement has helped me change Odia Wikipedia and participate in community activities. 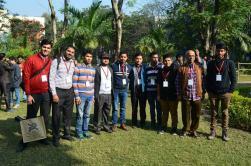 I was just an editor to Wikipedia projects until last year, in January 2015, when I attended Bengali Wikipedia's 10th anniversary conference and Vishnu, the director of the Center for Internet and Society at the time, invited me to attend the Train the Trainer Program. I was inspired to start doing outreach for Odia Wikipedia and hosting meetups for GLAM activities and training new Wikimedians. These experience taught me how to work with a community of contributors. 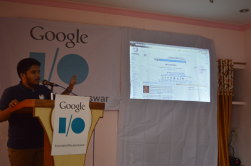 Ravi, the director of Wikimedia India at the time, also played an important role in my journey. He trusted me and made me a part of Wiki Loves Food, a public photo competition on Wikimedia Commons, and the organizing committee of Wikiconference India 2016. During Wiki Loves Food 2015, my team helped add 10,000+ CC BY-SA images on Wikimedia Commons. Ravi further solidified my commitment by sharing a lot of information with me about the Wikimedia movement, and his own journey, during Odia Wikipedia's 13th anniversary. Less than a year later, in December 2015, I became a Program Associate at the Center for Internet and Society's Access to Knowledge program (CIS-A2K). One of my proud moments was at a workshop in Puri, India where we helped bring 20 new Wikimedian editors to the Odia Wikimedia community. Now, I mentor Wikimedians during an informal meetup called WikiTungi Puri. I am working with this group to make Odia Wikiquotes a live project. I am also dedicated to bridging the gender gap in Odia Wikipedia. Eight female editors are now helping to organize meetups and workshops, and participate in the Women's History month edit-a-thon. During my brief but action-packed journey during the four years since, I have also been involved in the Wikipedia Education Program, the newsletter team, and two global edit-a-thons: Art and Feminsim and Menu Challenge. I look forward to the many more to come! I would also like to thank Sameer and Anna (both previous members of the Wikipedia Education Program). I was one of the attendees at Perception. The idea was quite motivating. We formed a group who occasionally improve content on Odia Wikipedia a as well as English. This story of yours will help us get more volunteers for Odia work. Happy to know that there are some activities happening after Perception. Please feel free to contact me at sailesh.patnaik007@gmail.com or 7537097770 for Wikipedia related help.